The first measurable snowfall for the area brought along several closings and delays for schools and colleges in the region Tuesday morning. 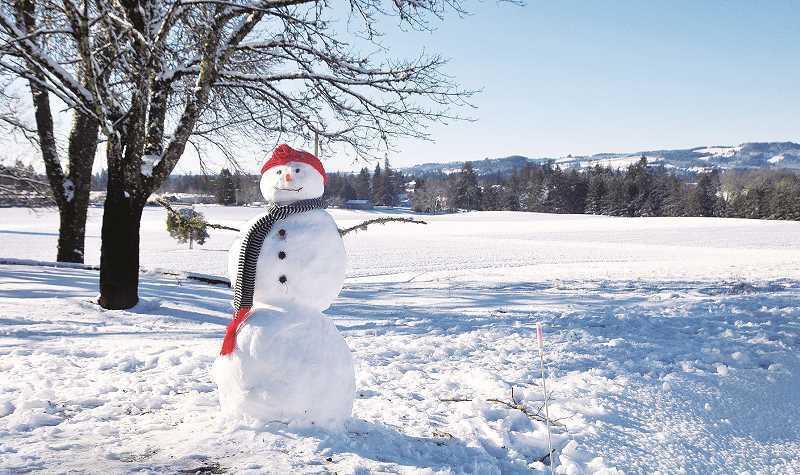 The Newberg School District closed all its schools, as did the St. Paul School District. Head Start of Yamhill County canceled all its classes Tuesday and closed for the day. Likewise, Early Head Start Socializations were canceled and so were English as a Second Language and Nurturing Fathers' classes. C.S. Lewis Academy initially called a two-hour delay, then announced it would close for the day. The Sherwood Charter School and West Hills Learning Center were also closed Tuesday. The MITCH Charter School had a two hour delay. George Fox University opened at 9:25 a.m. Classes starting at 9 a.m. started instead at 9:25 a.m. The Newberg campus of Portland Community College was closed Tuesday. The college initially called a delay, but eventually did close.